A sunshiney Tuesday over here, readers! We have had pretty much non-stop rain all May, but today the sun is shining and the temperature is perfect! I am thrilled! 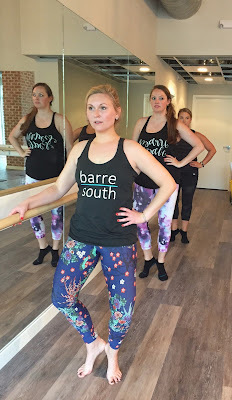 Today I'm excited to be posting about my experience at Barre South while visiting Charleston for the Southern C Summit. 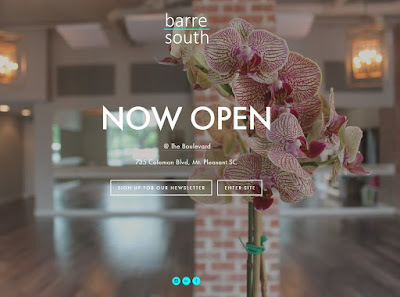 Brett, the owner of Barre South, used to live in Richmond and was my favorite barre instructor. 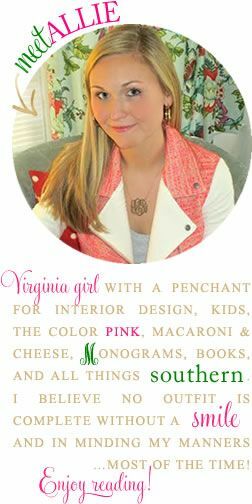 That being said, when a trip to Charleston was in the works, I knew I had to take one of her classes! I reached out to see if she would be interested in offering a class for Summit attendees and she graciously said yes! We planned the class for Wednesday morning, before Summit registration. It turned out to be only three of us, as many people were still traveling that morning or taking add-on sessions. I really enjoyed the intimate class, though! In addition to myself, Erin of Attention to Darling and Maghon of All She Wrote Notes, were both in attendance! If you haven't checked out Maghon's calligraphy business, be sure to! 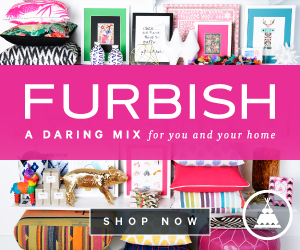 She is very talented and has collaborated with Moon & Lola and my very favorite, Furbish Studio! The studio is absolutely gorgeous and I wanted to take one of her fabulous lanterns home with me! 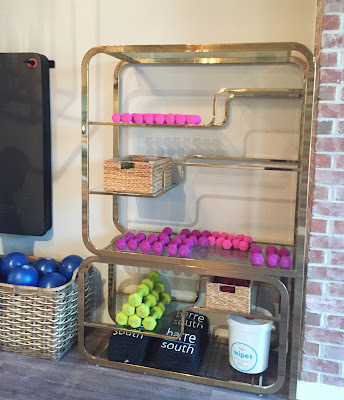 Talk about a chic place to work out! 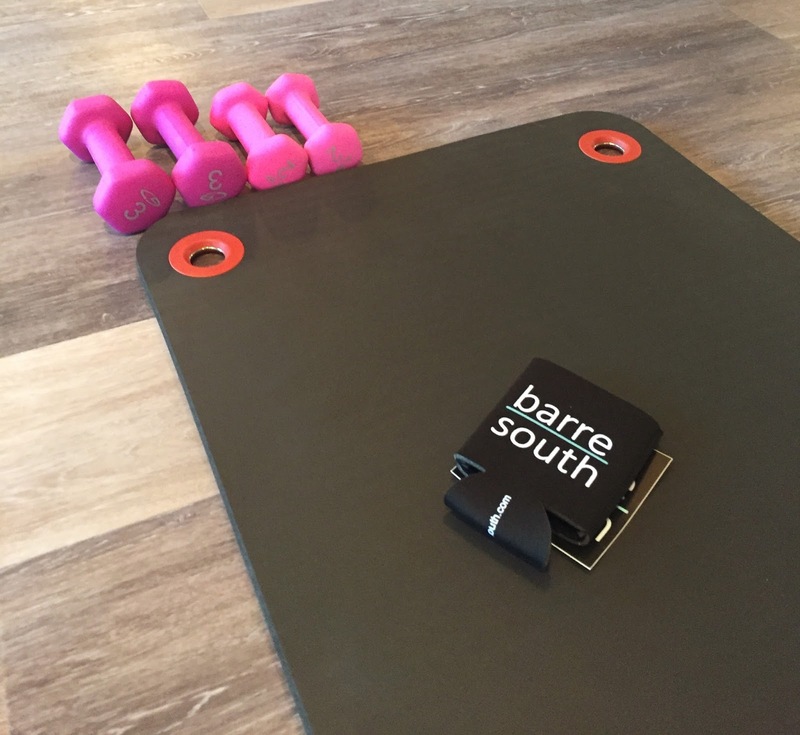 I was so excited to get to bring some Barre South swag back to Richmond! Brett's class was awesome! She has such good energy, and her enthusiasm makes the hard class worth it! Those of you that are familiar with barre, know that the seat exercise below is killer! I couldn't resist snagging a pic alongside Brett! We are both wearing Superfun Yoga Pants! True story...after first taking a class with Brett, I immediately reached out to Amy of SYP saying I needed a pair of pants just like Brett's! I now have 4 pairs and having an excuse to wear them is definitely a motivator to hit the barre! I'm so glad to have had the opportunity to be back in class with Brett...and was also glad to burn some calories before all the Charleston feasting that was to ensue! I will most definitely be visiting Barre South during any and all future Charleston trips! If you are in the Charleston or Mount Pleasant area, be sure to take a class and let Brett know I sent ya! Also, if you want your own pair of Superfun Yoga Pants, you can order online here, or visit a Superfun Pop-Up shop! The Superfun gals will actually be at Barre South tomorrow night and Thursday morning! Details here. Are you a fan of barre? It looks like a really cool place! So glad we got to do this! It was awesome and I am so grateful you set it all up! 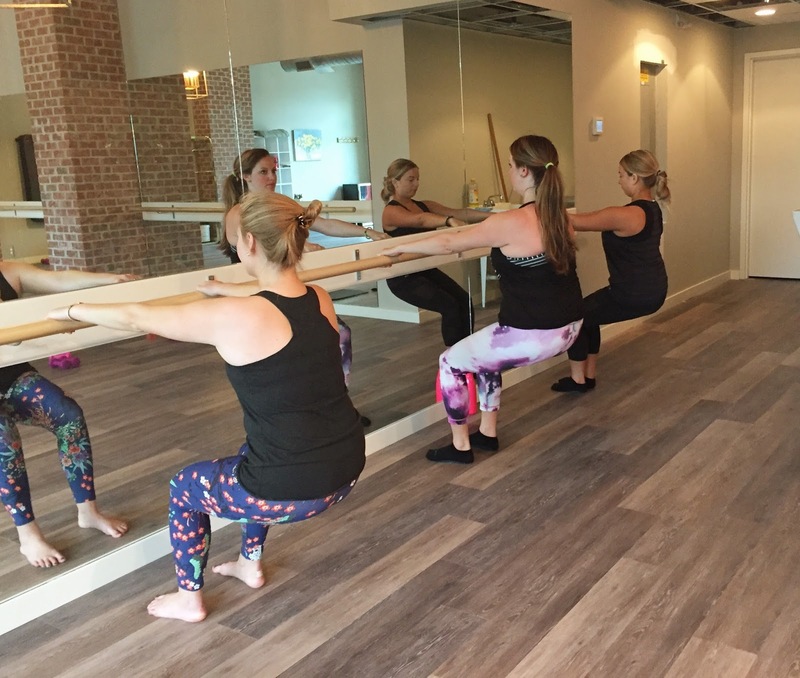 Love, love, LOVE barre! My gym offers classes and I would go every day if I could. My favorite workout by far. Love the pants -- thinking I NEED!!! Those are the CUTEST pants ever! I love that you got such an intimate barre class in, that sounds like perfection to me! That studio looks awesome! 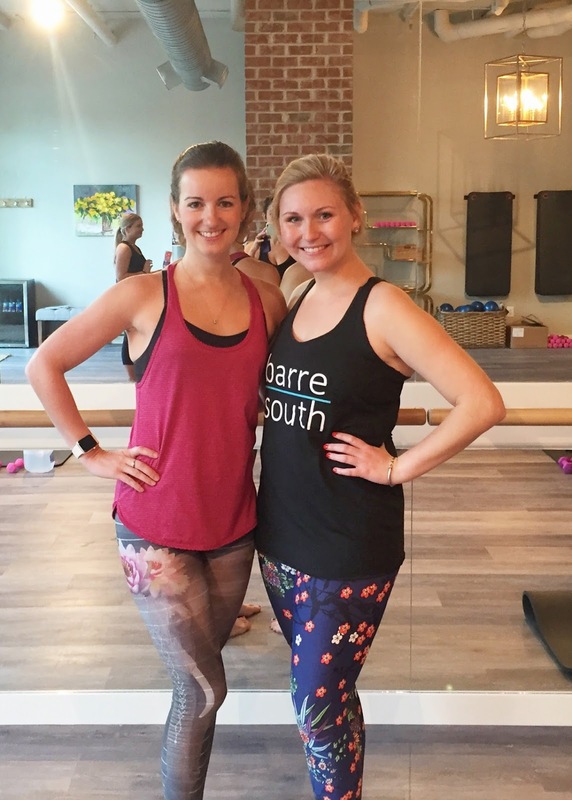 If I still lived in Charleston I would definitely check it out since I've gotten obsessed with barre classes again! Also, they are the "Superfun" yoga pants that you mentioned but have you seen the super fun Lilly leggings?! I'm (not so) patiently waiting for mine to arrive later today!! This is awesome! I met Maghon at the Making Things Happen conference, and she is the sweetest! Wish I had gotten to take a class with you three ladies! This looks like so much fun! 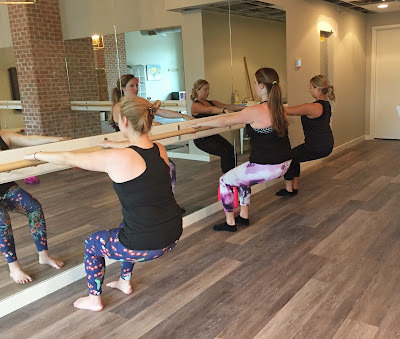 I've yet to try a barre class, but I'm dying to! This was so much fun (& hard work to boot)! 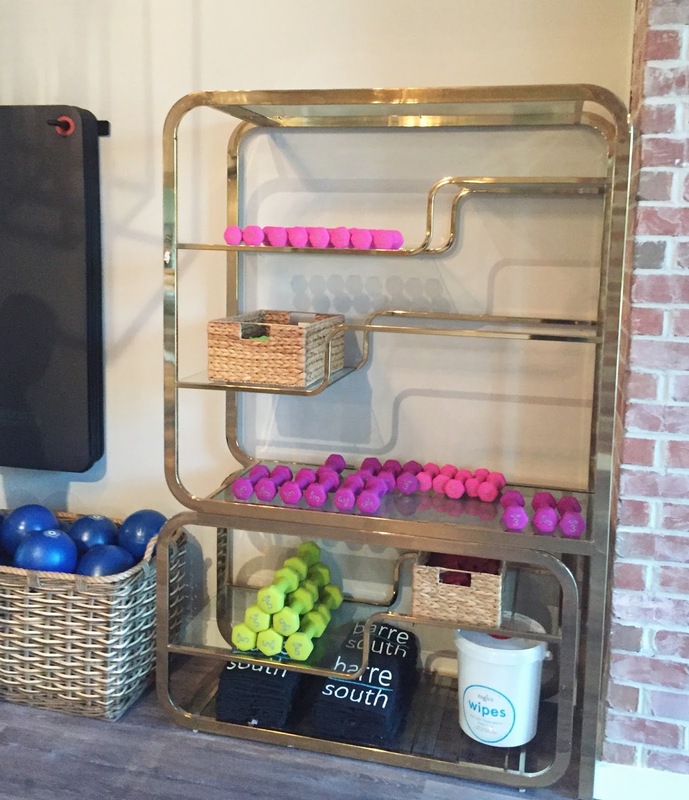 Thank you for setting this up and getting us to an awesome workout before all the yumminess that ensued! I loveee Barre. Have yet to try any studios besides exhale but should next time I'm traveling.